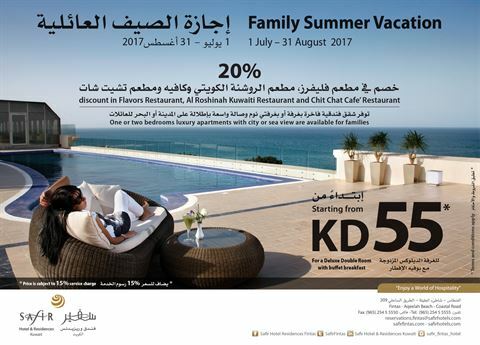 This summer, Safir Al Fintas Hotel and Residences has great offers for all those who want to spend a relaxing time in a great place with the family. You can now spend a night in the hotel starting from KD 55 per night (Price is subject to 15% service charge) and this includes breakfast in Flavors Restaurant. You'll get a free night when you book for 3 nights. 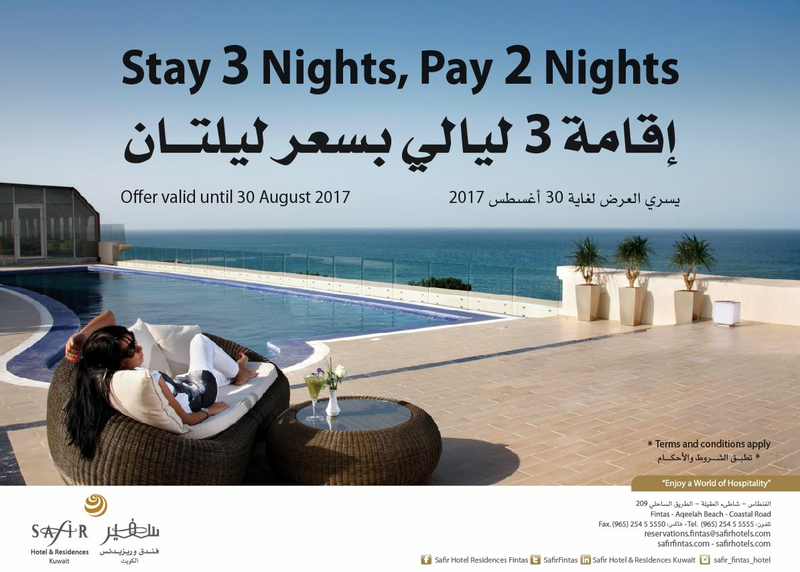 This offer is valid until 30 August 2017. 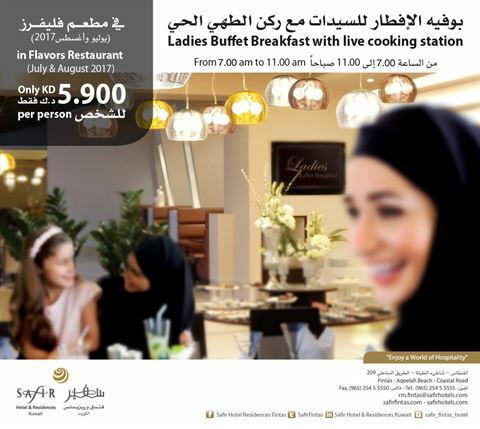 In addition to the offers above, ladies can now enjoy a buffet breakfast with live cooking station during July and August in Flavors Restaurant. The Ladies breakfast buffet at Safir Al Fintas starts from 7am till 11am and its price is only KD 5.900 per person.